and You can Find Them At the Zoo. 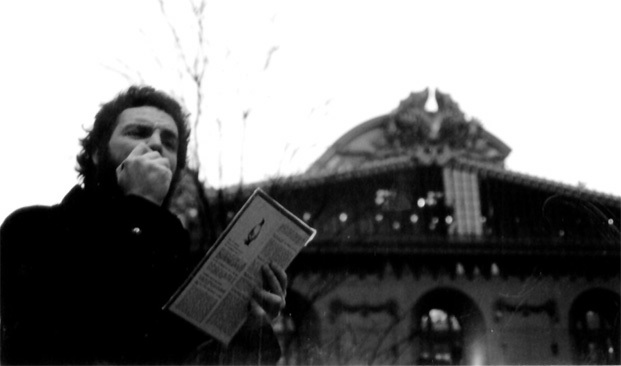 In the Fall of 1998, while working at The School of the Art Institute of Chicago, I traded my services with Spiro Dousias; I needed him to play the role of a Chicago Street Preacher dedicated to teaching the citizens of Chicago the hidden truth about penguins and he needed me to help him build a large and elaborate collapsible puppet theater. Spiro was a Chicago native, a second year student at the school and a natural performer. 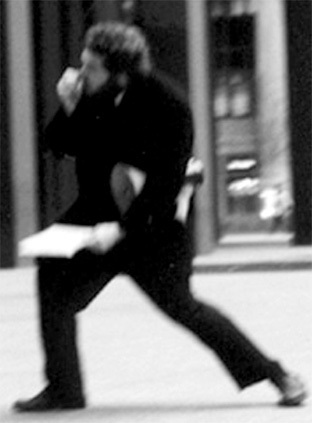 After one practice session, Sprio donned a black suit, took up the megaphone and while wielding a cardboard cheat sheet dazzled the rush hour foot traffic of the downtown Chicago Loop. While a group of police officers stopped and watched us in front of the Mies Van der Roe Post Office, we were not stopped until we got to the Sears Tower where Spiro was quickly surrounded by security guards while he was in the middle of a spectacular ad lib about the differences between Penguins and James Brown: "James Brown may be the hardest working man in show business, but does he work as 24 hours day and night like the Penguins? No! He does not." 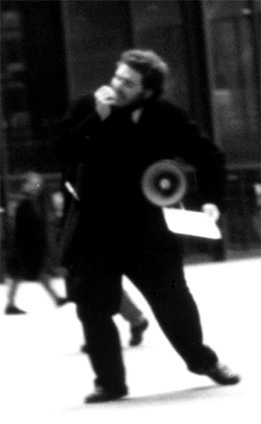 Spiro's friend and close associate Jesse Bullock took photos and handed out over 500 educational pamphlets about Penguins and their role in the work force. I recorded audio with a beautiful microphone and DAT recorder generously lent by Paul Dickinson while Kimberly Hassenfeld shot video, gave expert advice, and reasoned with a woman who was very upset with the media for their treatment of O.J. Simpson. and a the main speech.